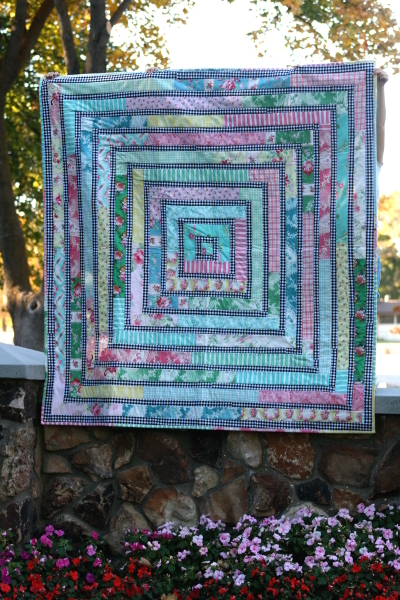 My Rosewater + Gingham quilt is finished and in use around our house. 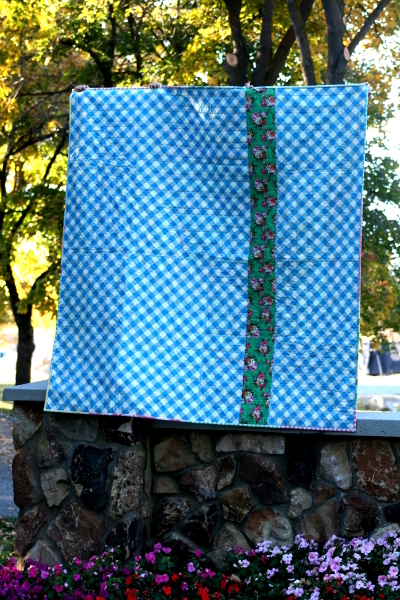 I quilted it very simply with straight lines in the ditch around all the seams. It’s a quilting style I haven’t used much, simple, but also needing great attention to detail to maintain straight lines. To be honest, I’m not sure yet how much I like it, and yet I don’t dislike it either. 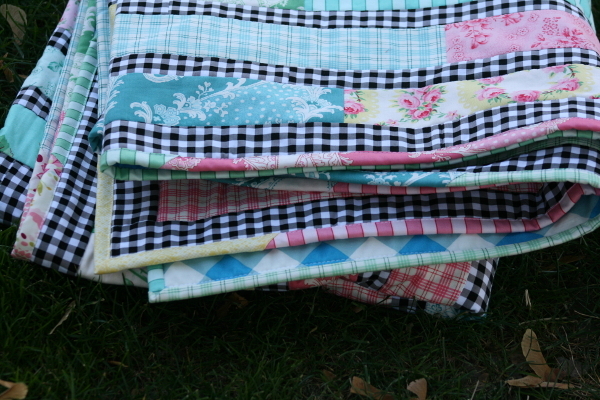 I chose a second gingham for the backing and it makes my heart sing. It’s a lovely bright blue diagonal plaid print from Jane Sassaman, and I added a strip of my favorite Jennifer Paganelli floral. I’ll be so sad when I run out of scraps of that print! 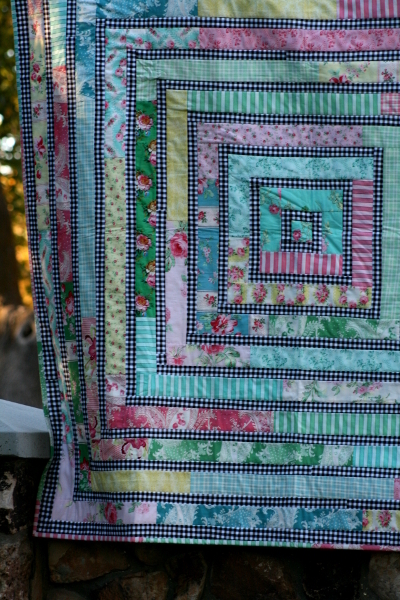 I used my scraps from the quilt top to make a scrappy binding that continues the theme of the quilt. This was such a fun project, made entirely from stash by combining fabrics I already had in a way I never planned to do. This was a fun but simple creative exercise for me. It makes me wonder what other awesome fabric combinations are hiding in my sewing room because I simply haven’t taken the time to discover them yet. I hope to devote more time to this sort of sewing in the future.